BluVector® Cortex™ is a state-of-the-art, AI-driven sense and response network security solution. Combining BluVector and Endace gives analysts a platform that detects even the most advanced threats in real time and provides a full understanding of the threat through detailed context and packet-level Network History. BluVector Cortex accurately and efficiently detects, analyzes and contains sophisticated threats including fileless malware, zero-day malware, and ransomware in real time. 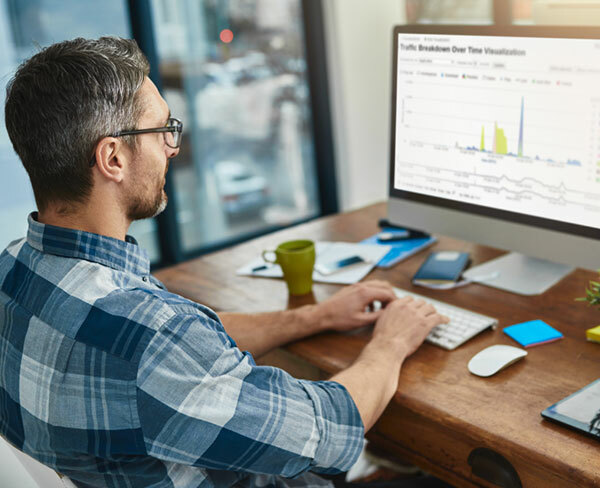 EndaceProbe™ Analytics Platforms capture, index and store network traffic with 100% accuracy, regardless of network speeds, loads or traffic types. Application Dock™ extends security and performance monitoring by hosting third party analytics applications on the open EndaceProbe platform. Watch this short 2 minute video demo to see how integrating BluVector's AI-driven Cortex threat detection with the 100% accurate Network History on EndaceProbes enables accurate detection and rapid response to security threats. 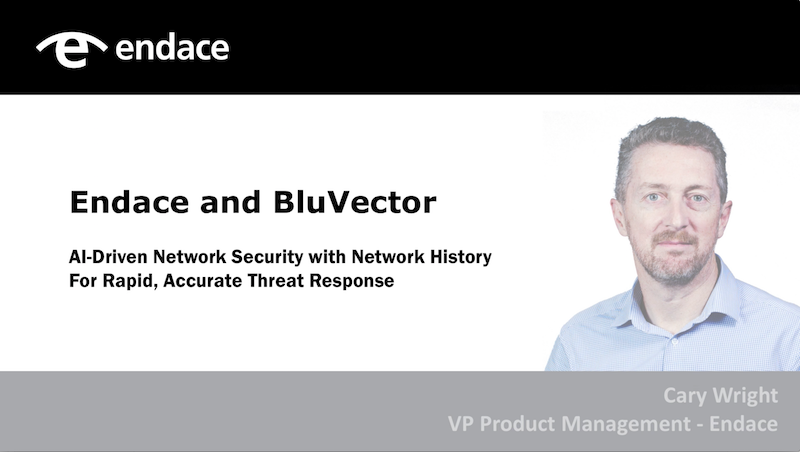 Integrating Network History with BluVector Cortex enables analysts to click directly from a security alert to analyze the related packet-level history using EndaceVision™, the investigation tool that is built-in on all EndaceProbes. This integration gives analysts rapid access to the definitive evidence they need to investigate and resolve security threats quickly and accurately. Using the IP address and time range of the trigger event, Pivot-To-Vision focuses the analyst directly on pre-filtered incident data. Using EndaceVision analysts can quickly extract, dissect and review the relevant traffic from the Petabytes of Network History recorded by EndaceProbes on the network. Deploying BluVector Cortex on EndaceProbes lets you extend threat detection visibility right across your network by hosting Cortex instances wherever you have EndaceProbes installed. You can download the full deployment guide from our Support Portal. If you don't have a Support Portal account, you can request one here. For more information about deploying BluVector Cortex on EndaceProbes please login to our Support Portal. If you don't have a Support Portal account you can request one here. 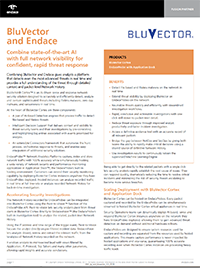 Interested in finding out how you can deploy BluVector Cortex on EndaceProbes to improve your security and conduct rapid, accurate and conclusive investigations? Please complete the form below and one of our team will get back to you shortly.